Purchase a Gift Voucher in November or December 2018 to the value of $100 and we will pump it up with an extra $50 on us! Choose from our range of professional hair care products including Tangle Teezer. 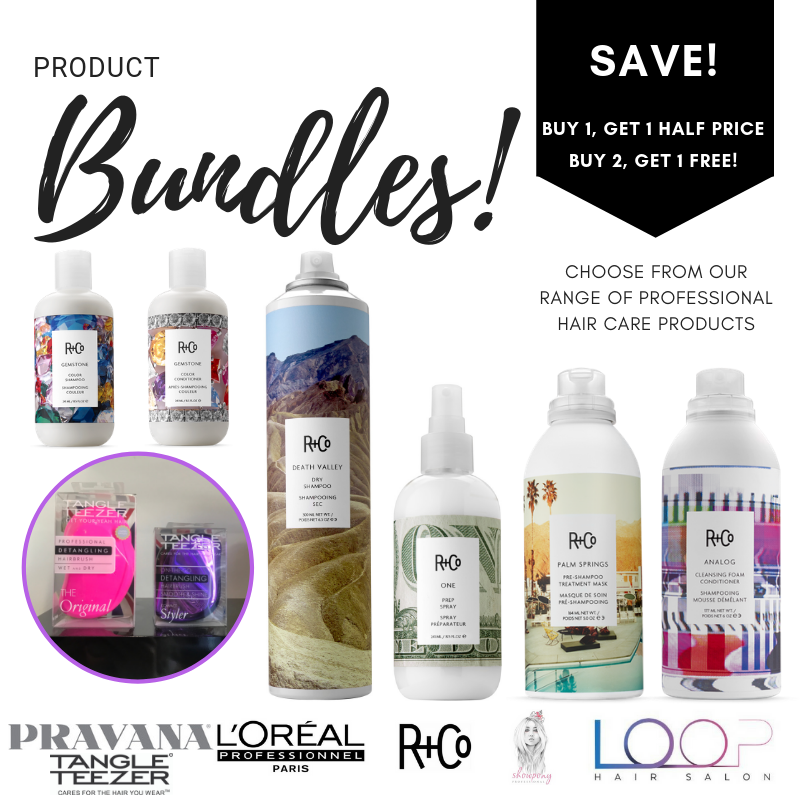 Grab a “Bulk Blowout” pack and get 10 salon quality blowouts for the price of 8! score 50% off style cuts! Everyone likes to save $$$ and everyone likes to help friends. If you refer a friend to us here at Loop, we'll give you both 50% off your haircuts. 4) You get 50% off the very next time you make a booking. Refer as many times as you want. Super simple and super rewarding. It's always nice to get a little something back. We want you to feel the love at LOOP! Join our Loop Loyalty Program and get real rewards right from the start. - Receive points with every service. - Collect and redeem for real rewards. Book in now and start your rewards journey today. It's going to be an exciting year for Loop Hair Salon. We cannot wait to share our knowledge, news and specials with you on our Blog!